Here is a close up of the card I made using this set. I masked my image just a bit so that my sassy little mouse could hold a candy cane. 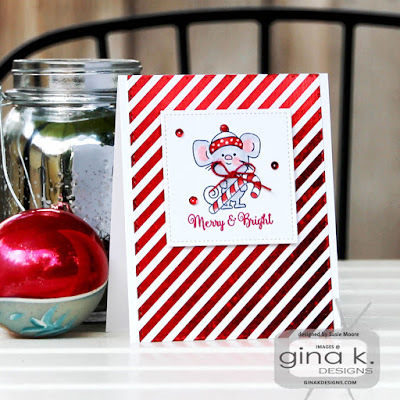 That led to me using the beautiful Radiant Red Fancy Foils and Gina's Ornamental Holiday Foil-Mates to create some red and white striped paper! Even though it is hard to photograph foil, I think you can see toward the bottom how much sparkle is happening on that paper! Her set seems retro to me, so I tried to portray that in my image coloring. Not sure I did it, but I like the card anyway. I masked the bottom of the tree so that I could place the ornaments underneath. I think it's a fun technique! Nor for our incentive set. You can have this one for free with a $75 purchase. What a great set! 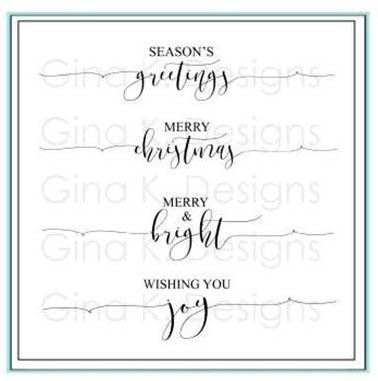 I used the Merry Christmas sentiment on this tag and I love how dainty the font is. 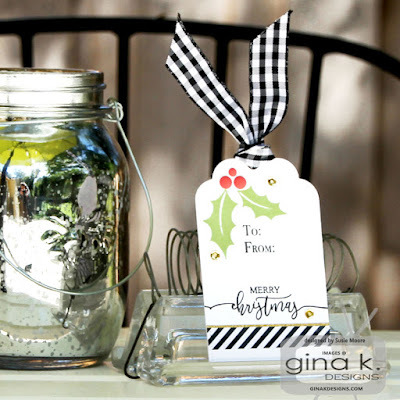 I think it is really great for cards AND tags - just the perfect touch. Don't forget that you could win a $50 Gina K. Designs gift certificate by visiting and commenting on each designer's post (links below) To see who won, check the Big News Forum at StampTV a few days after the hop. For sure you will want to see ALL of the new products available this month in the What’s New section. We will be hopping again NEXT Monday, and I'll remind you as the day nears. But I promise to be here tomorrow and I hope I'll see you then. Taht little scene is just too stinking cute! Love these all! Great examples. I love how you used the scripty saying on the tag. These cards are so cute! 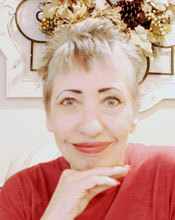 Thanks for a very fun blog hop!! Your dressed up mouse is the cutest and I love the added mantle, great detail! Love how you did the mouse and the foiled background makes it pop. Great cards! You certainly showcased the stamps to the hilt. Oh, these make me smile, for sure! 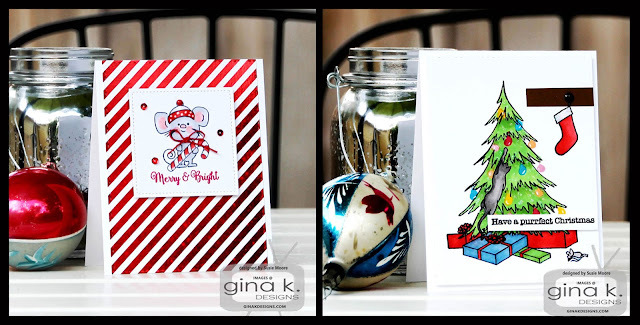 Cute cards, especially the "Merry & Bright" card with the red foil. Love your cards and tag! The cat climbing the tree is priceless. All your cards are cute! I especially love the tag! I like to include a happy tag on many things - when sending a homemade baked gift to a friend and even when one of the kids would have a fundraiser - we always made "thank you" tags of some sort! Those are all so cute. Thanks for sharing with us and being an inspiration. the foil really makes the mouse pop off the card - and love the coordinating hat on her! 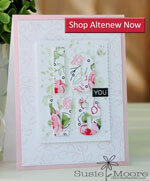 Beautiful card designs and I love that fabulous tag too! Such cute cards! Good job. 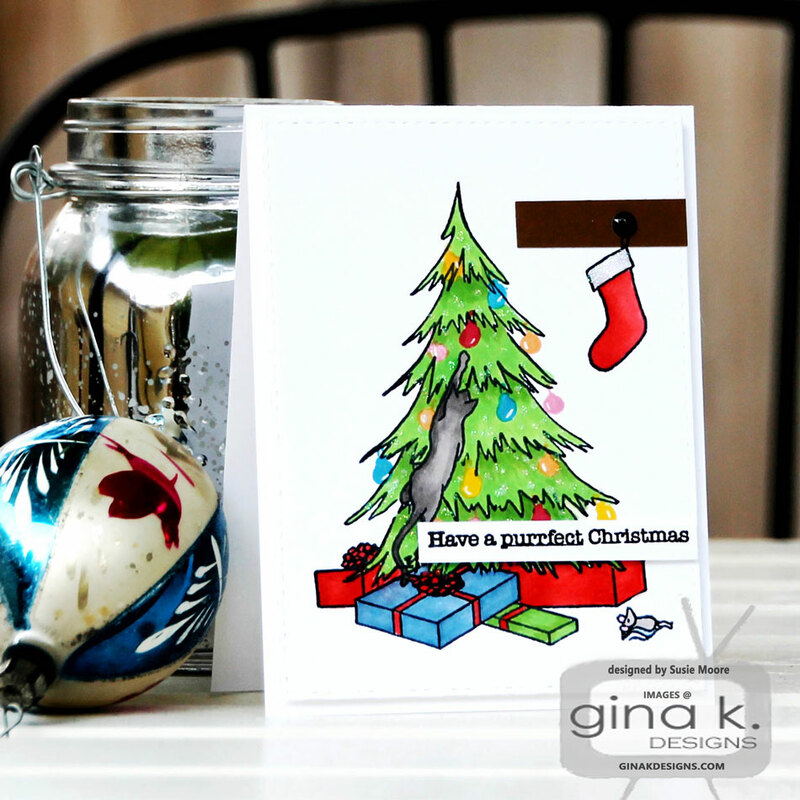 Love your cards, great coloring on the cat card! Fantastic bright bold colors. Love these. Such sweet cards. They are so cute and cheery. Love the foil behind the Noelle Mouse and the purrfect scene card. 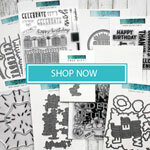 all you cards are soooo cute...love them and all the newly released stamp sets! 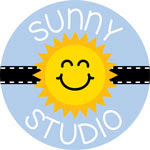 All your creations are just perfect for Holidays ! So cute and love the scripty sayings! Thanks fro sharing! CUTE cards! I especially love the naughty kitty in the tree card! Great designs! The cat climbing the tree is so funny! I love your cards Susie. They are always so pretty and cute too. Great cards I really like the tags. Beautiful creations! Thanks for sharing! Just love that candy cane card! So festive!!! 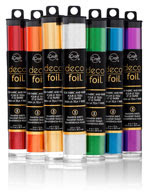 I love the foil paper you've used. So shiny and holiday-ish. 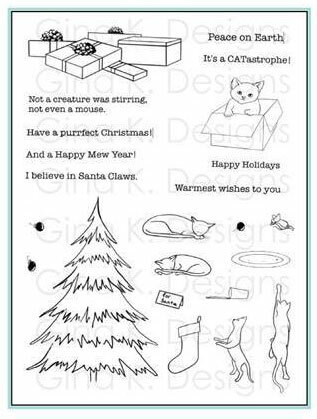 On the Purrfect Christmas, what I like the best is how you tilted the cat a bit--giving it more of a flow. Great job. I love them all - so perfect! great use of these sets. Very lovely. Love how you used the beautiful script Stamp on your tag, great idea! Love your cards! The red & white foil background with the little mouse is super cute. Love them all. So fun and pretty! 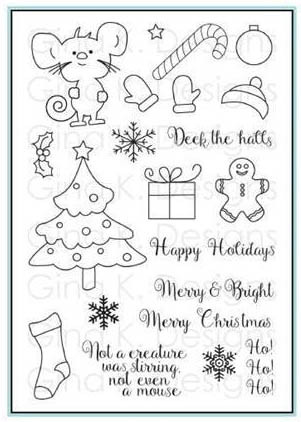 Adorable and super cute Xmas creations!!! New stamps are so lovely!!! Love your cards and the tag. Great job! Foiling and stamping I like the combination. Fantastic cards! I love your mouse! The mouse card is adorable...Love the colors on the tree the cat is rearranging...and the tag is sweet with the black and white embellishments. Great job. So sweet! Love the stamps! Both cards are wonderful. The coloring on the Christmas tree card is beautiful. Love the candy cane bacground with the cute mouse. Script merry christmas looks great on the tag. Wonderful cards and tag...... the little mouse is too cute! Love your cute and colorful projects. Such a cute card and beautiful card.